Jamal Allen's connection with track and field began when he was in high school, extended into college and then, after a tragedy changed his life forever, remained the one constant in his life. Every year, as the 35-year-old Allen welcomes in a new crop of athletes with the Chester Cheetahs Track Club in Pennsylvania, he reflects on what it's given him and often guides those under his wing by that example. "Track did a lot for me," said Allen, who coaches from a wheelchair after a car accident in 2007 paralyzed him from the waist down and saw his sister and cousin killed. "Being from Chester, there's nothing but distractions on the street. It's what helped me get to college." 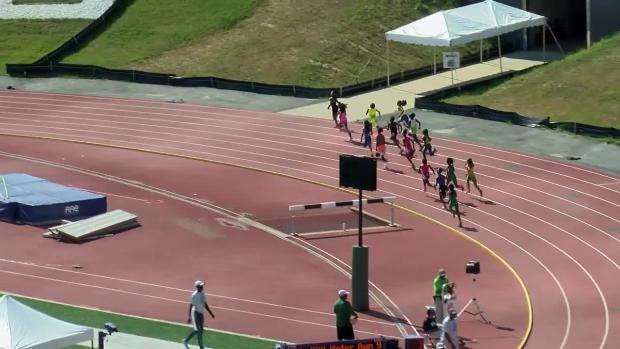 The annual culmination of his summer training will once again close at the AAU Junior Olympics from July 28-August 3, with this year's event taking place in Des Moines, Iowa. Forty-five athletes from Allen's Cheetah's program--a team he took over in 2013 after his mentor stepped down--have qualified. 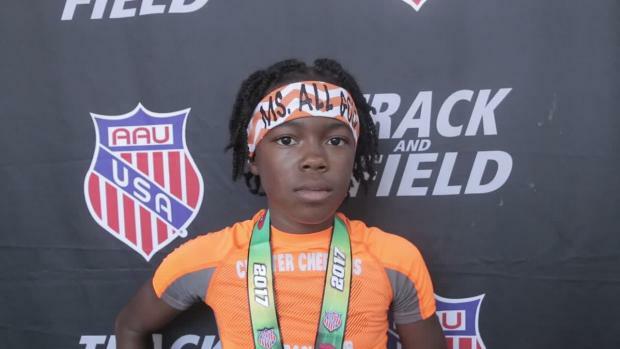 One athlete in particular, though, has become the face of the program: 10-year-old Damira Allen. Over the past three seasons, she's been one of the many young athletes in the AAU system to make a name for herself across national competition, but this season was the first in which Damira began to truly emerge. 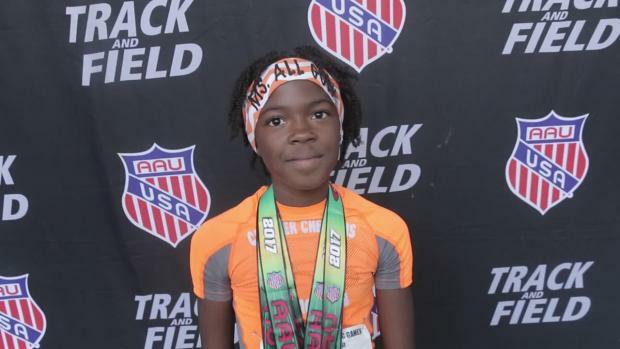 Over the indoor season, she set two World Age Group records at the 9-year-old category at 400 meters (1:00.43) and at 800 meters (2:23.15). 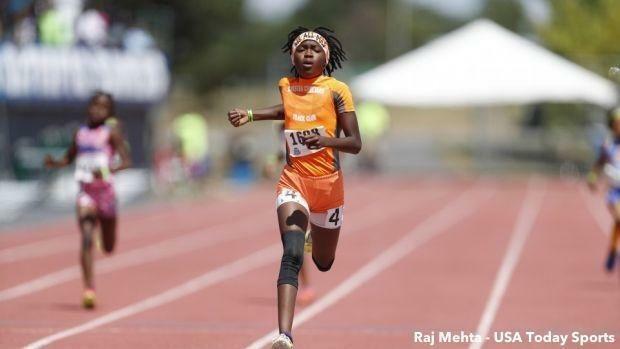 Now she heads into her fourth straight Games experience looking to win three more gold medals after three straight triples in the 400m, 800m and 1500m in the 8 & under and 9-year-old divisions. 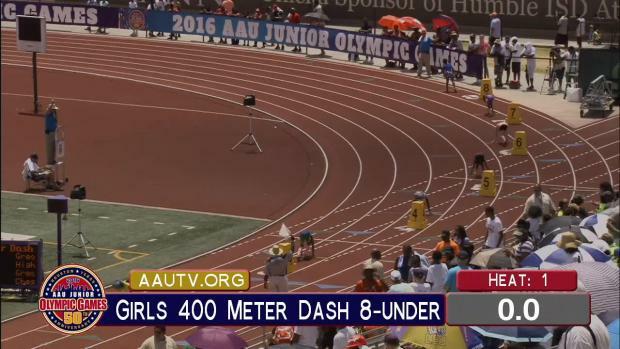 Damira's first trip to the AAU Junior Olympics was on this very same track at Drake University. "One thing I've noticed of her," Allen said of his athlete, "is that she doesn't like to lose. Even if it's in a warm-up. Her work ethic (is outstanding)." Four years ago, when Allen met Damira for the first time, he remembers her wanting to quit. He made sure she stuck around. "I told her dad," Allen said of the conversation he had with his cousin, Darren Sutton, "'There's something I see in her. Don't let her quit.'" Damira indeed stuck with it, flourishing at the mid-distances over the last few years. She has yet to break 60 seconds in the 400m, but is coming off her best indoor season and ran 1:01.97 recently outdoors. Over the past four years, Damira has also earned $1,000 Promising Future scholarship by the Women's Colgate Games. She's coming off a Regional 2 qualifier in New Jersey, where she ran 2:27.93 in the 800m and a career best 4:55.42 in the 1500m-her first time under 5 minutes. "That 4:55 was amazing," Allen said. 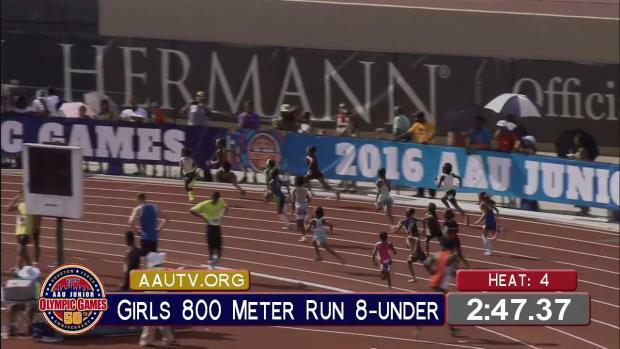 "They combined the age groups in that race, and usually when they combine, she's at the bottom, but she was pushed by a 12-year-old and pulled away from her in the end." Allen said Damira traces a lot of her success to him. "I'm her track dad," he said. But track has always been a fixture in his life, too. Allen grew up in Chester and ran at Chester High, exchanging football pads for track spikes early on. He split an open 53 seconds in the 400 meter hurdles when he was 15 and then went on to compete at Lincoln University, where he said he set a school record at one point. He often came back during off semesters to help with the Cheetahs, a program he joined in his junior year of high school. But one thing escaped him. He ultimately didn't finish college, he said, and is about a year's worth of credits shy of graduating. Just a few years later, he was involved in a tragic car accident. Allen says it took almost four years for him to come to terms with it. Then a moment began to turn things around. He was at his nephew's football game when he spotted an athlete running up and down the field without pause. Allen talked to Quamere Cosby's mother, then enlisted him with the Cheetahs and started helping with program. Cosby is 13 now, and Allen still coaches him. He believes he can use his gifts to get to college, too. "I saw myself in him," Allen said of that first moment. "I started track from football, too." Soon enough, Allen was coaching more than a handful of kids. As the team has grown alongside him, he says his biggest strength is his ability to connect. "I always got speeches," Allen said. "I was a writer, I always created something. We got different handshakes, everybody on the team. Different handshake, different speech." Allen has developed nicknames for every athlete on the team. Damira's nickname is Scarface, because during one early training, she slipped on some black ice on the track and got cut up slightly-though she finished the workout. The scar isn't there anymore, but the nickname stuck. Even at 10, Damira has been a go-getter. She calls Allen on off days to train and often enlists his help in ways to get better. Allen implores all of his young athletes to take advantages of the opportunities that track could give them. "They know my background, my story and my history," Allen said. "They know what I went through and that everything I'm teaching them has a point. My message to them is that 'I went to college, but I didn't graduate, three years of it.' 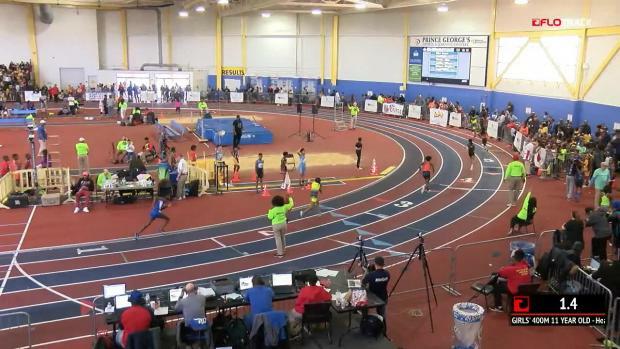 Winning at the AAU Jr. Olympics isn't the goal here. It's about a college scholarship, it's about that free money to get an education." Allen continues to use track and field as a tool to help athletes grow as students and athletes. "Our only competition is the clock," he said. "Gold medals, that's icing on the cake. There's always someone faster than you, but nobody can be better than your personal best."